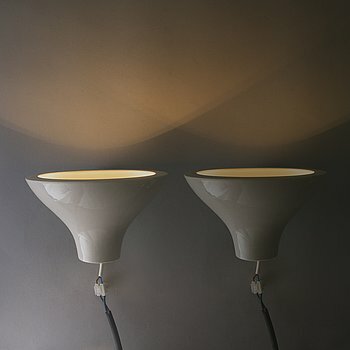 A pair of wall sconces for Byrolights, 2006. 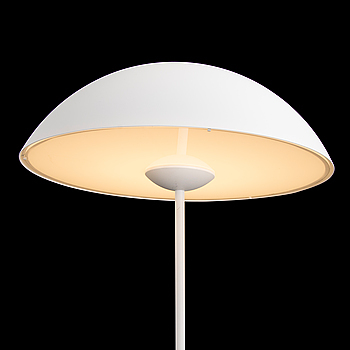 A 21st century 'Kajo' standard lamp for Lundia Oy, Finland. 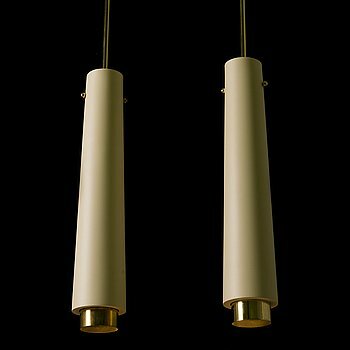 JUKKA KORPIHETE, CEILING LIGHT, 4 pieces. 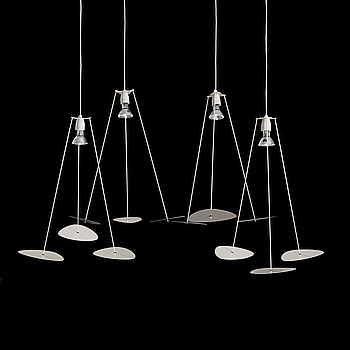 JUKKA KORPIHETE, Two 21st century pendant lights, model samples, for KJM-Tuote, Finland. 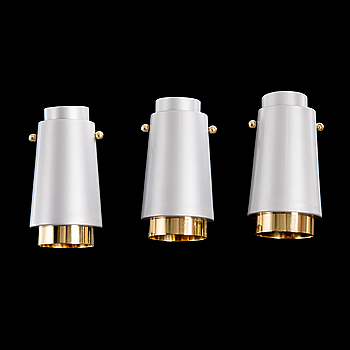 A set of three 21 st century '2068' spotlights for KJM- Tuote, Finland. 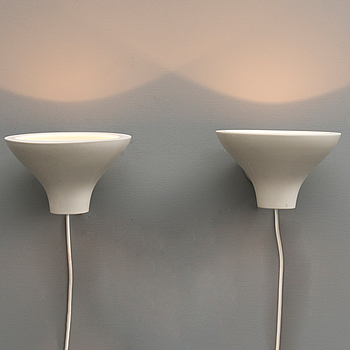 JUKKA KORPIHETE, a pair of wall sconces for Byrolights, 2006.